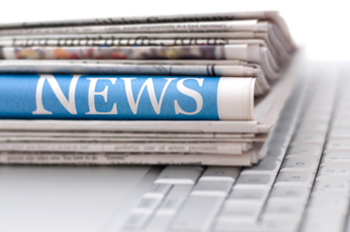 Philip Suter of jml Property Services said" We have just received stats from the advertiser client saying that between the 1st October 2009 and the 4th April there have been 55 sales of their product. It appears to be very popular and someone even purchased this on Easter Sunday. 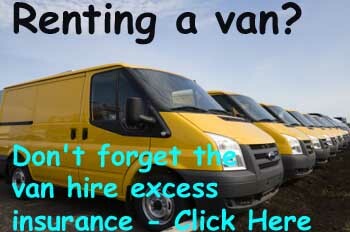 The majority of consumers are male and the majority of van hire insurance coverage is for one or two days. The cost is £7.99 per day. Most people purchase the product a few days in advance before they hire the van and probably at the same time as the van hire is arranged. The longest period of insurance to date was eleven days." There are thousand of van rented out every day in the UK and via the insurance4vanrental.com site you can also arrange van hire, car hire and even motorhome hire via holiday autos. 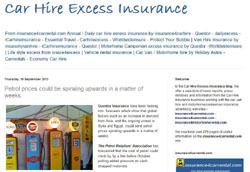 jml insurance acts as a web promoter for insurance companies selling property insurance including landlord and tenant rental products, pet insurance, wedding insurance, motor insurance, car hire excess insurance (via www.insurance4carrental.com),van hire excess insurance (via www.insurance4vanrental.com) travel insurance and non standard insurance products.